Add some colour to their celebrations with this star shaped helium balloon. 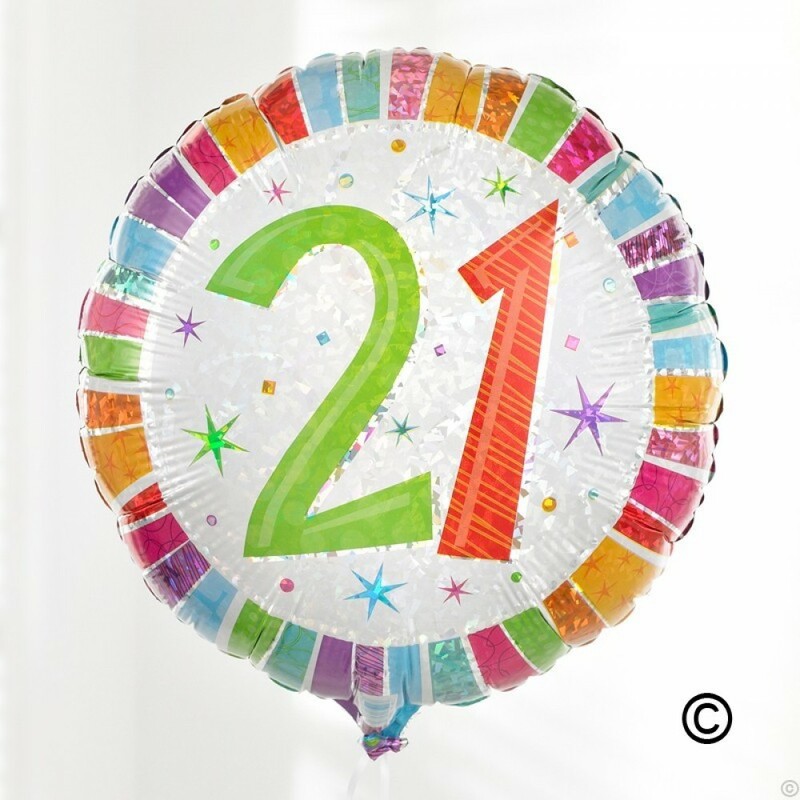 This design features a burst of rainbow colours and a silver star with a ‘21’ motif in the centre. The micro-foil balloon arrives filled with helium and tied to a weight with a curling ribbon.